To stimulate the interest of the people of the town of Westford, MA and surrounding communities in the visual and performing arts, and to promote an appreciation of the same, by sponsoring education, workshops, performances, exhibits, lectures, and presentations and providing facilities for artistic endeavors. Our goals are two-fold: to increase an Arts’ awareness and appreciation and to provide a variety of visual and performing arts within our community. The Parish Center for the Arts is led by a very enthusiastic, dedicated volunteer Board of Directors. We offer music programs, concerts, theater arts, exhibition spaces, workshops and more through professional artists, actors, and musicians. It nurtures children, teen and adult creativity; encourages emerging artists; develops teaching and performing opportunities; and engages the community with important, new programs and events. 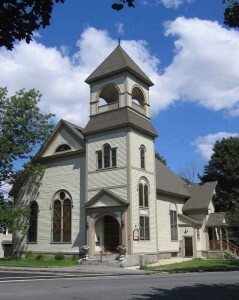 The Westford Historical Society, Inc., a nonprofit and privately funded organization, purchased the Parish Center for the Arts from The First Parish Church United in December 1998.